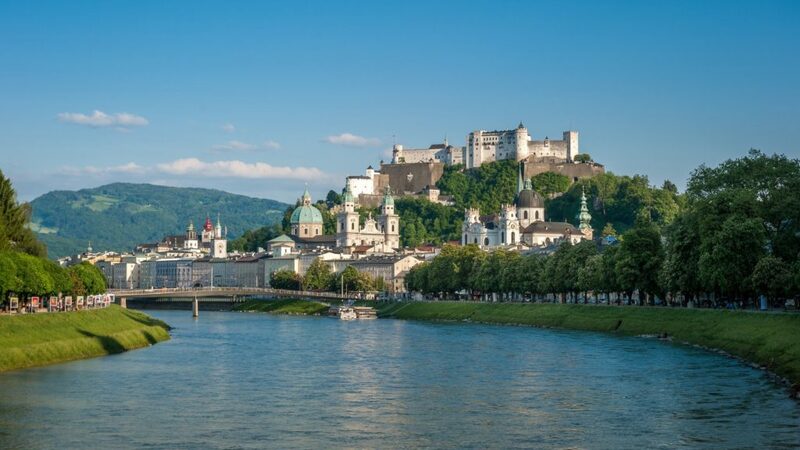 In some ways, “The Sound of Music” did a disservice to Salzburg. Yes, the movie was shot on location and was faithful to the surrounding hills, which are extraordinarily beautiful and very much alive with, well, you know. But there’s so much more to this special city, including a wealth of music that far outdistances the Von Trapp repertoire. Salzburg is a romantic little gem of a place that can cast a spell over you even if you’re only here for 24 hours, as I recently was. Perched at 1,400 feet elevation on the edge of the Eastern Alps, near Austria’s border with Germany, and wedged between two mountains – the Kapuzinerberg and the Monchsberg – this home to less than 150,000 people has the distinct vibe of an alpine city. Walk amid some of the streets in the Altstadt (Old Town) teeming with baroque and gothic architecture, and you might think you’re in certain quarters of Vienna. But then turn a corner and catch sight of those hills and mountains in the distance and the ambling Salzach River bisecting the city, and you know you really couldn’t be anywhere else. I had arrived one morning with a group, a final stop after several days hiking in the Tyrol and Vorarlberg in the west. A bike tour had been planned, but with rain a possibility, we opted to just stroll – hiking at a more civilized pace – around the city. We started with an elevator ride up one side of the Monchsberg, to an observation platform offering a panorama of all Salzburg. Even under a blanket of clouds, the view was stunning – the pale old buildings with spires and domes set off by the emerald water of the river and the greenery of the hillsides beyond. 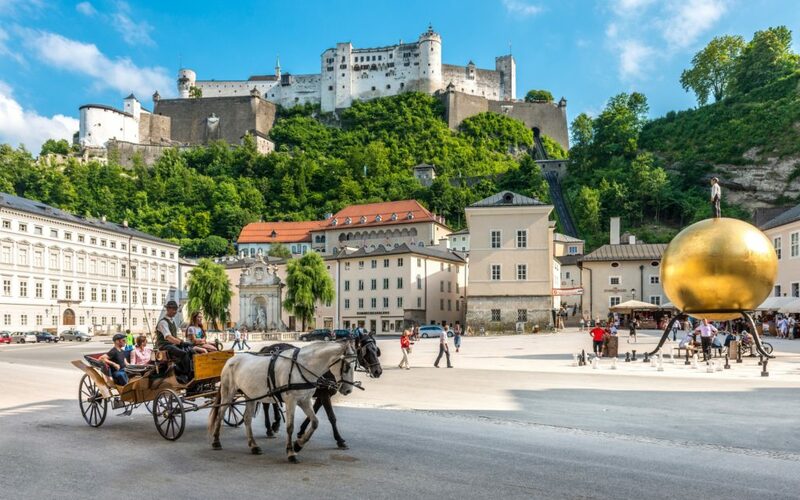 Dominating the skyline is the Hohensalzburg Fortress, every bit as ominous and formidable as it might sound. It was built in the 11th century and is among the largest intact medieval castles in Europe. From its own hill, the Festungsberg, the fortress looks down on the city a couple hundred feet below. In the evenings, concerts are performed inside, and I can only imagine what they must be like in such a setting. Wending our way down from Monchsberg platform, we stopped into catacombs that had been carved centuries earlier into the side of the mountain. Old worn, stone steps led to crypts in which you could barely stand up. Eventually we found our way into the Altstadt, where the past and present cohabitate very well. Tourists and locals sporting the latest fashions ambled along the narrow streets of Getreidegasse and Goldgasse. The old exteriors of various restaurants, shops and buildings – many designed by a pair of 17th century Italian architects, one of whom was instrumental in creating parts of Venice – are festooned with intricate wrought-iron works displaying signs or symbols of chic goods for sale, evoking the pre-neon days of advertising. Nearby is the baroque Salzburg Cathedral, looking solemn and stolid since its construction in the 1600s. The elaborate interior includes some notable Renaissance artwork. There are other similarly impressive religious buildings around the city, I learned, and they serve as a reminder that Salzburg was once ruled by Prince-Archbishops. The official big deal of Altstadt is, as you might expect, the home in which Wolfgang Amadeus Mozart came into the world in 1756. You can’t miss it – a massively yellow building with “Mozart’s Gebursthaus” (Mozart’s birthplace) in elegant lettering across the façade, and the focus of a seemingly perpetual gathering of people with cellphone cameras deployed. It’s long been a museum, and I thought of taking the tour but the line was a bit long, and I didn’t have a lot of time. I settled for authentic Mozart kugel from Café Konditorei Fűrst, the originator of the highly addictive chocolate confection. Several of us were interested in visiting the St. Sebastian cemetery, on the other side of the river, so we strolled across one of the bridges and up the Linzer Gasse. Both the cemetery and its attendant church hail from the 16th century, and Mozart’s father and wife are buried there. Ditto one Theophrastus Paracelsus, a noted Swiss physician and alchemist who established the role of chemistry in medicine. He also wrote one of the first clinical descriptions of syphilis – in 1530. Again, the Italian influence is present – the cemetery was designed in the style of campo santo, or sacred field. Which is a bit ironic, since it’s not a place that either romanticizes or soft-pedals death. Statuary include skulls and skeletons, some with expressions seeming to mock visitors, or the departed, or both. 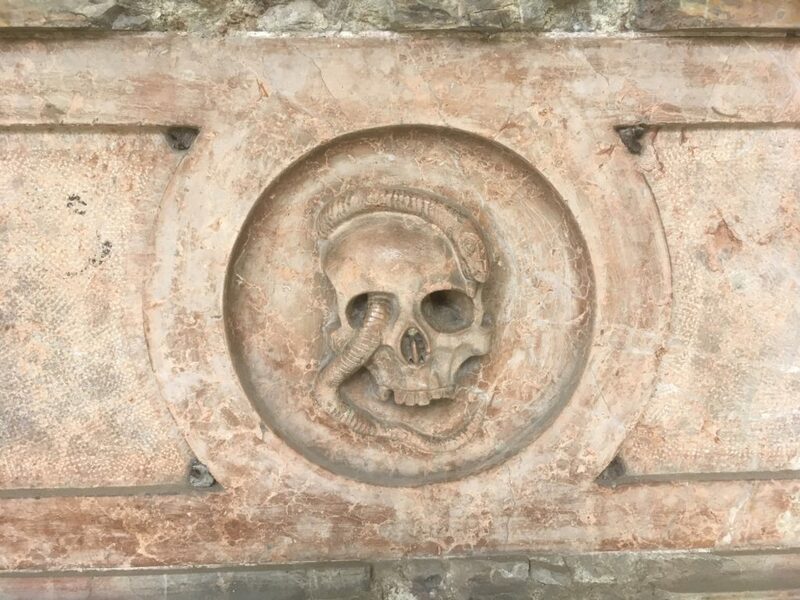 My two favorites – a medallion of a skull with a snake crawling through one of the eye sockets, and a cherub standing with a skull underfoot. Salzburg is also full of wonderful eating – especially desserts. 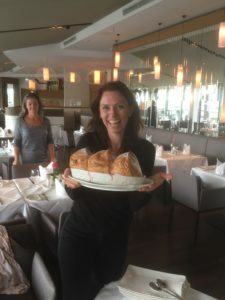 After a delicious hot plate of locally caught perch pike fillets and a cold bottle or two of Grűner Veltliner, served up at the Imlauer Sky restaurant atop the Crowne Plaza Hotel, we were treated to a city specialty – Salzburg nockerl. It’s three soufflé-mounds, supposedly meant to evoke the surrounding mountains, drizzled with a mouth-watering raspberry sauce. Definitely a must-have if you come here. Another must-have, of course, is Sacher Torte, arguably a national specialty, though most famously associated with Vienna, where it was first whipped up in the 1830s. It’s indulgent, it’s decadent, it’s chocolate on steroids, and it’s to die for. 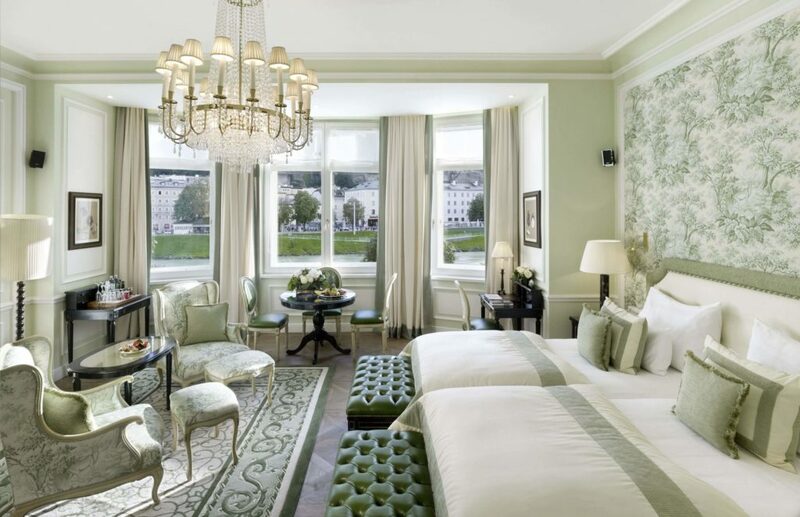 I was staying at the elegant Hotel Sacher, which, with its rich wood-paneled walls and ceilings and period furnishings, is really a fin-de-siecle grande dame. I went to the café inside the hotel and had a slice of heaven with a small pot of creamy rich coffee. 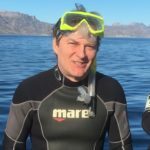 It really is an experience, as is staying in the hotel, which I was lucky enough to do. It ain’t cheap, but the luxury and welcoming atmosphere are considerable. 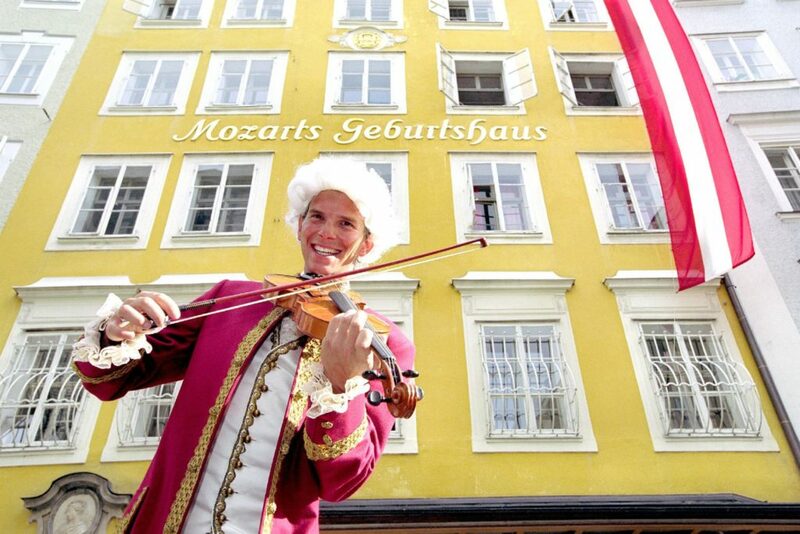 Salzburg may be most famous for its music festivals, which seem to run all year long. They start in late January with the internationally known and respected Mozart Week, bringing together talent and music-lovers from the world over to revel in the work of the city’s most adored son. Opera, symphony, chamber music and soloist recitals: it’s all here. Some of the other major events are the Easter and Whitsun Festivals, followed by the Summer Festival in July and August. A recent addition to the line-up is the fall jazz fest, which, I’m told, has become very popular in a short time. And yes, if you’re so inclined, there’s an official “Sound of Music” tour. I didn’t have time to catch any music, but the one event that sounded most appealing to me occurs at Christmas, and I’m not particularly religious. But you don’t have to be particularly religious to enjoy “Silent Night,” which I think is extraordinarily beautiful, and which happened to be written in Salzburg and first performed here on Christmas Eve of 1818. The upcoming bicentennial celebration promises to be an elaborate event set amid the snow-covered city and mountains. If that doesn’t bring the lonely goatherd down from the hills, I don’t know what will. Visit Salzburg for more info.